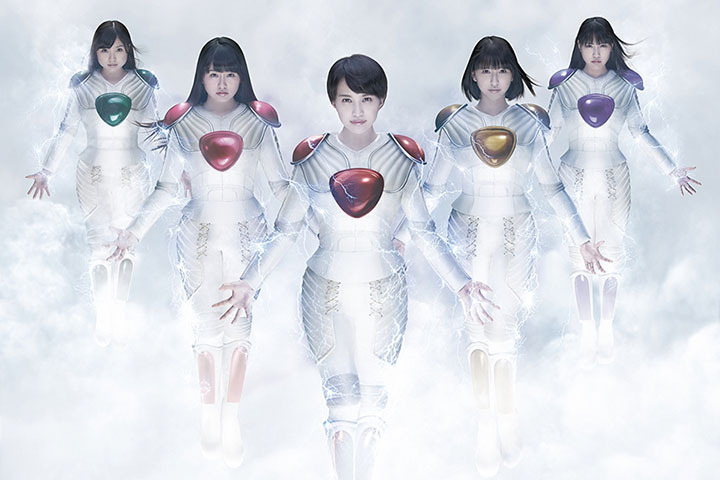 The preview video for Momoiro Clover Z‘s new song Z no Chikai (Pledge of Z) was just released. 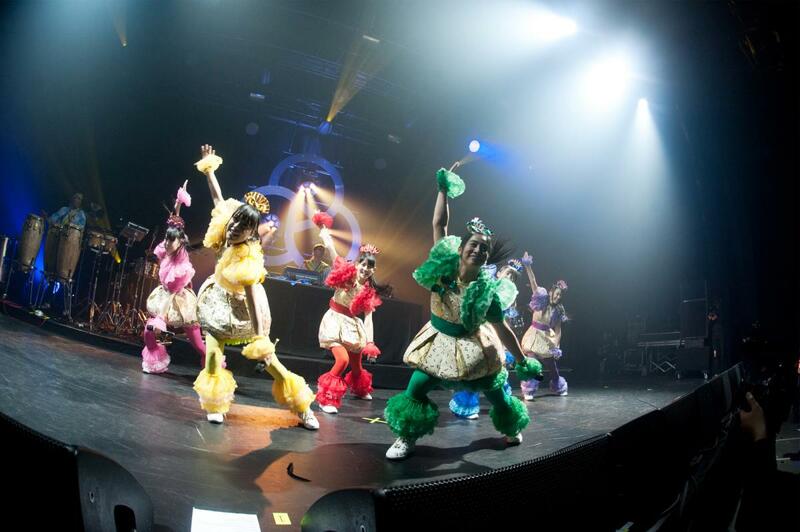 In the video, all five members of the group are dressed as characters from the series Dragon Ball Z…. MCZ’s Special Fan Event will take place on July 1st, Anime Expo’s “Day 0,” at the JW Marriott Hotel, Downtown Los Angeles, in the Platinum Ballroom, from 7pm-9pm. All five members from the band— and a special guest—will be there to say hello, and teach their fans how to dance! MCZ will present their fans with a chance to watch a concert DVD and learn about otagei so that MCZ fans can follow with the members of Momoiro Clover Z during their concert! Momoiro Clover Z will be performing at this year’s Anime Expo! The group will be introduced to the United States by Paul Stanley and Gene Simmons of legendary rock group KISS. The concert will be held on Thursday, July 2 at the Microsoft (formerly Nokia) Theater. 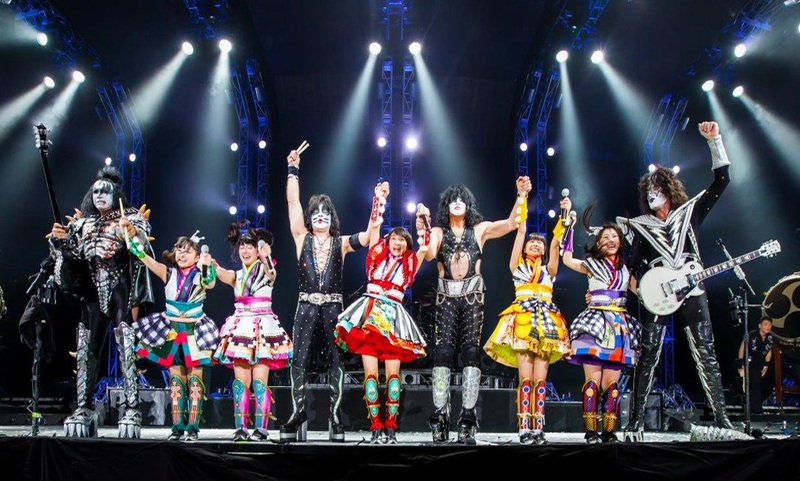 Momoiro Clover Z collaborated with Kiss earlier this year for the single Yume no Ukiyo ni Saitemina. 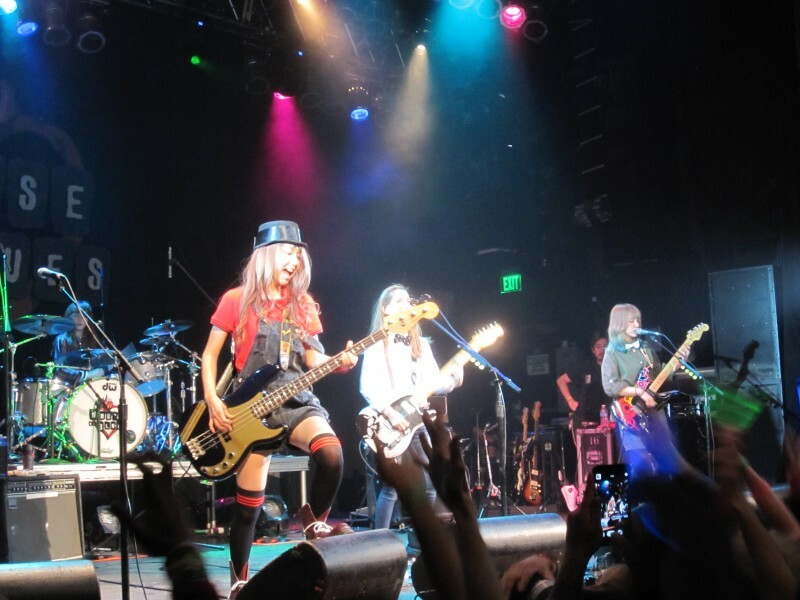 On May 22-23, the Japanese girl band SCANDAL returned to California for shows at the House of Blues in West Hollywood and in Anaheim. They had previously held a concert back in July of 2011 at a anime convention in the Anaheim Convention Center and local fans have been waiting for another chance to see them. I was lucky enough to attend that show as well and it was a fantastic experience. 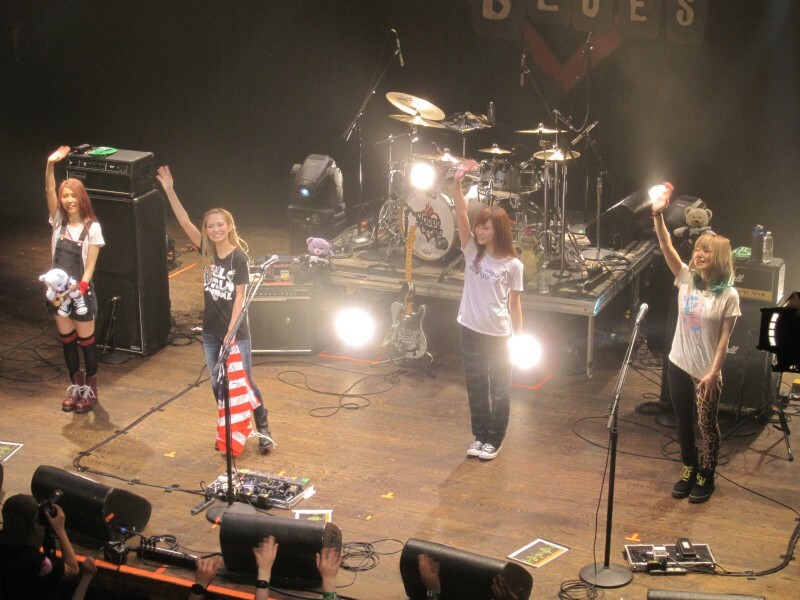 The girls also made a US concert stop in Chicago the previous weekend. Fans lined up hours in advance to get themselves prime spots for the show. Once we were inside, the building energy and anticipation of fans was discernibly palpable from the chants, shouts, and conversations going on. The decor of the venue was bright, colorful, fittingly energetic for the show that was about to take place. With the ritual of breaking the glowsticks, the packed crowd’s excitement was reaching a crescendo’s peak, thankfully the girls of SCANDAL didn’t make them wait too long. They opened with love in action from their most recent album HELLO WORLD. A great high energy choice to start the show off with and to get the crowd going. The song starts with RINA’s powerful drums, TOMOMI’s high and cute voice with the opening lines and followed by HARUNA’s clear strong voice to create a musical mixture that really works. love in action was followed by Satisfaction a coupling track from the 2011 single “Haruka”, an upbeat poppy song that’s personally one of my favs. A bit of trivia, Satisfaction was used as a Windows 8 commercial song in Japan. 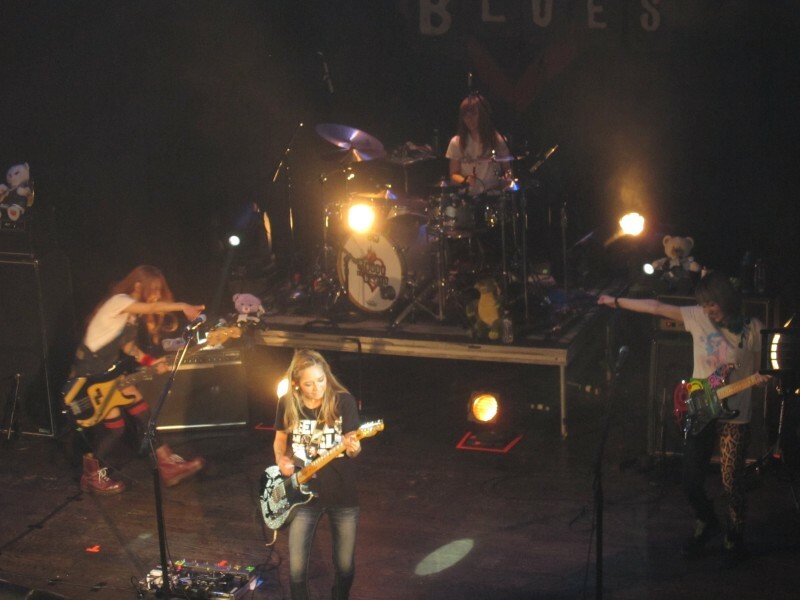 SCANDAL was formed in 2006 and it’s been a pleasure for many long-time fans to see the girls really grow and develop as artists and band-musicians. Years of consistent hard work and practice have paid off and it really shows when you compare their earlier performances to their current ones. The musicianship, confidence, and stage presence have developed to a level that most would have never expected when watching them as they first started out. This is easily agreed upon by veteran fans and those that take the time to dive into earlier performances. Thankfully although their latest album HELLO WORLD was a central focus of the show they treated fans with several other tracks from their discography including those that would be considered classics or iconic of the group’s history and image. The 3rd song of the night was one of these iconic tracks, their major debut single DOLL. As expected the fans reacted with voluminous cheers and clapping. When this song was released SCANDAL was still performing in schoolgirl uniforms while they were still trying to find or develop an image for themselves. 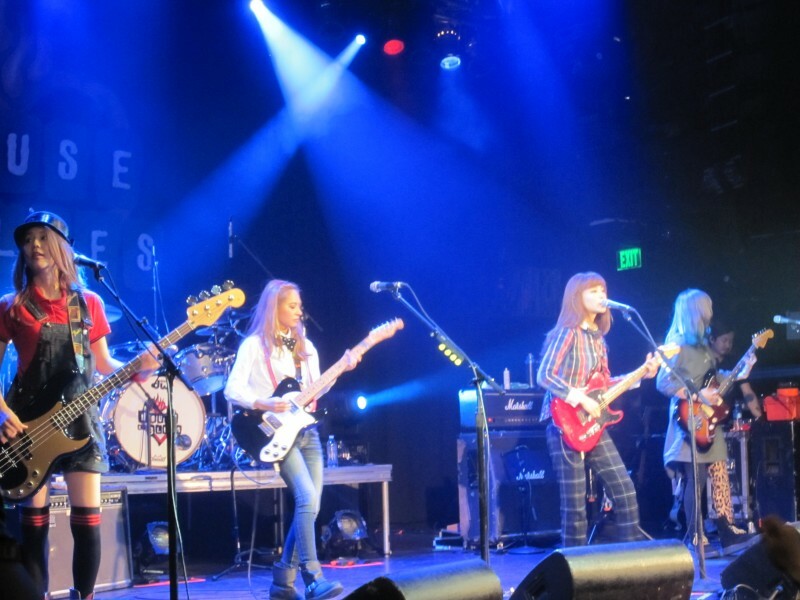 With the schoolgirl image behind them, the ladies are now distinctively different from the rest of the female Japanese music scene that so often gets caught up on the schoolgirl phase . 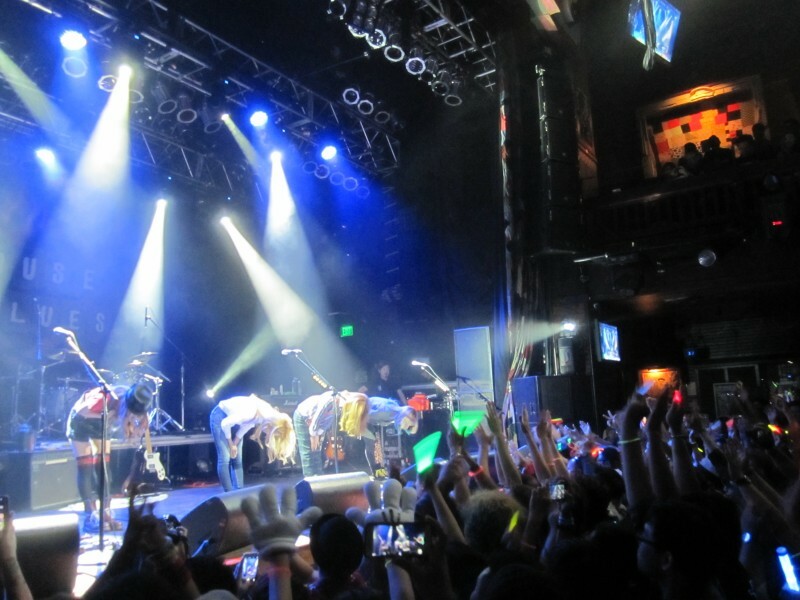 The flashing lighting of the venue coupled with the mass twirling of towels by the fans provided a scene that demonstrated the fans reception to and the status of this particular song. Following DOLL was Shunkan Sentimental, the song was used as an ending theme for the anime FULLMETAL ALCHEMIST. So this song serves as a gateway to SCANDAL for many fans. Next up was Scandal Baby from their first album, another one of those fan favorites considered iconic and mainstay of their sound. From the wonderful opening guitar rift to the melody and chorus that convey so much emotion and energy, a song that completely grips you from start to end. It was clear that the girls have been working on their English for the various MC segments and messages. I’m happy they took the effort to interact with and thank the fans. The middle segment of the concert had the member’s individual songs, Hon wo Yomu, Kan Biiru, and Oyasumi from the HELLO WORLD album. It turned out to be a great segment that allowed solo focus on the girls and added variety with the change of pace and style of music. 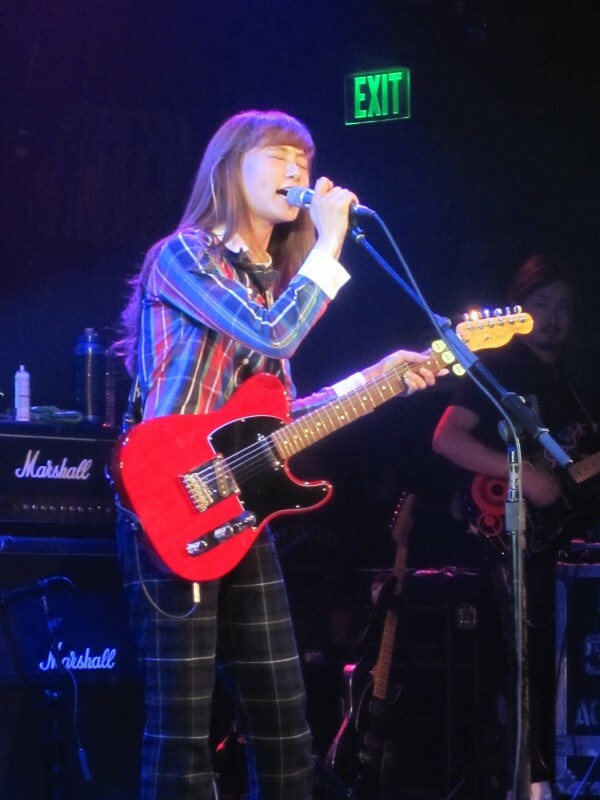 Especially standout was Rina’s performance of Oyasumi, it’s not everyday you have the drummer doing a solo and playing the guitar. They continued their set-list with several more songs from their recent album and finished with Image. But of course as with any other Japanese concert, the end isn’t really the end, but the time to begin encore chants. When the girls came back out, the fans sang Happy Birthday for Mami who had just turned 25 the day before. They finished off the night with Awanai tsumori no, genki dene and EVERYBODY SAY YEAH!, what a way to end the night! Thank you for the wonderful show, can’t wait for the next time SCANDAL is in town. 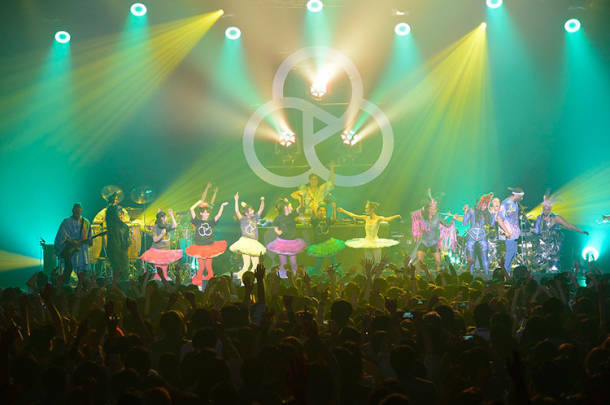 They collaborated together back in March for Basement Jaxx’s Tokyo show. Update: MTV81 has released an exclusive interview and additional footage from the collab. The song plays with the theme of thawing out from winter for summer. The composition and lyrics of Natsu Daze Johnny are by Ryo from Orange Range and Shiraishi Satori. The B-side track Noushou Sakuretsu Girl is the theme song a Japanese movie of the same title. Ginyuushijin was written and composed by Koharu (Charan Po Rantan). Candy Logger is composed by Ide Koji. 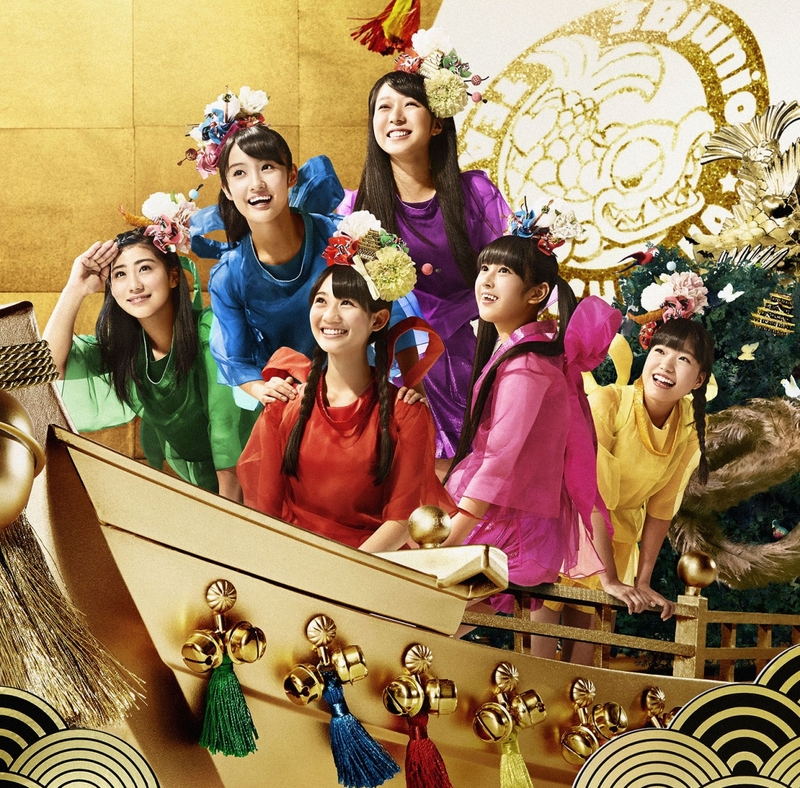 The preview video for Momoiro Clover Z‘s new song Z no Chikai (Pledge of Z) was just released. In the video, all five members of the group are dressed as characters from the series Dragon Ball Z. 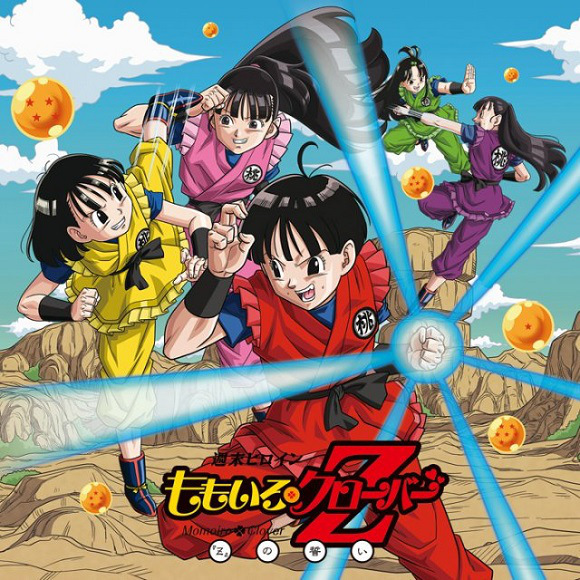 Leader Momota Kanako as Goku, Tamai Shiori as Vegeta, Takagi Reni as Piccolo, Sasaki Ayaka as Trunks, and shortest member Ariyasu Momoka as shortest character Chiaotzu. The Dragonball Z movie Fukkatsu no F will be released on April 18. The single will be released on April 29. Edit: May 1, 2015- The full version of the Music Video has been released. Babymetal has announced they’ve signed a deal with RAL/Sony and will be re-releasing their debut album in the U.S.
BABYMETAL–the Japan-based all-girl-fronted “Kawaii Metal” (mix of J-Pop Idol and Heavy Metal) group–has signed with RAL/Sony Music Entertainment for the U.S. release of their 2014 critically acclaimed self-titled debut album. The album’s re-release will feature two bonus tracks (cover art and tracklisting below) and be available digitally on Tuesday, May 12 and physically on Tuesday, June 16. With the latest additions of i☆Ris , Lagoon Blue , manaminorisa , OSAKA☆SHUNKASHUTO , Pink Babies , PREDIANNA , Prizmmy☆ , Tochiotome 25 , and Vanilla Beans. 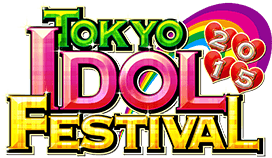 The number of groups attending this year’s Tokyo Idol Festival has reached 91. Compare to last year’s total of 138 groups, it’s highly likely a few more announcements and additions will be in the forecast for the near future. 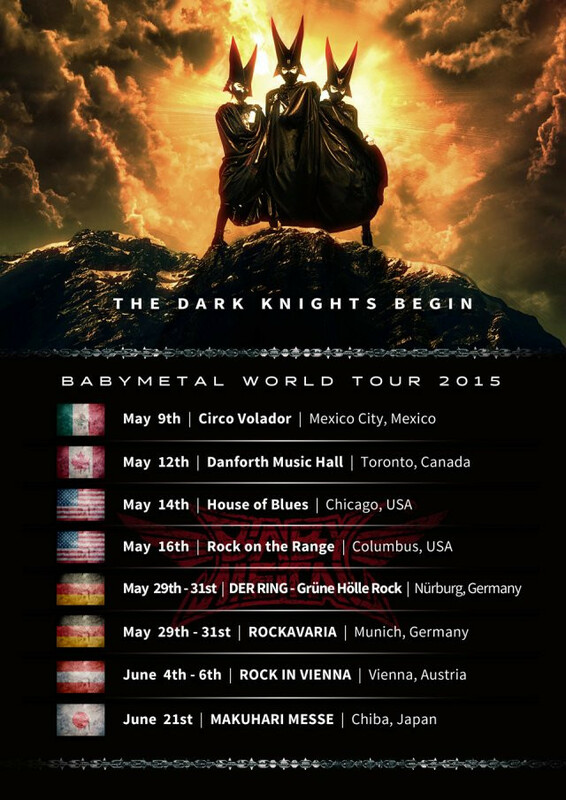 Hot on the heels of their hugely successful 2014 World Tour and sell out concerts in their native land, Babymetal’s official page has announced the dates and locations for the 8 stops of their 2015 World Tour. Flash your fox-signs and SEE YOU (there)! Team Syachihoko will perform at the “2nd Dalian Japan Brand” in Dalian, China on March 21 and 22. They will perform two free shows each day on a special stage for the event. This will be their first overseas performance, and the event is to promote Japanese products and culture.